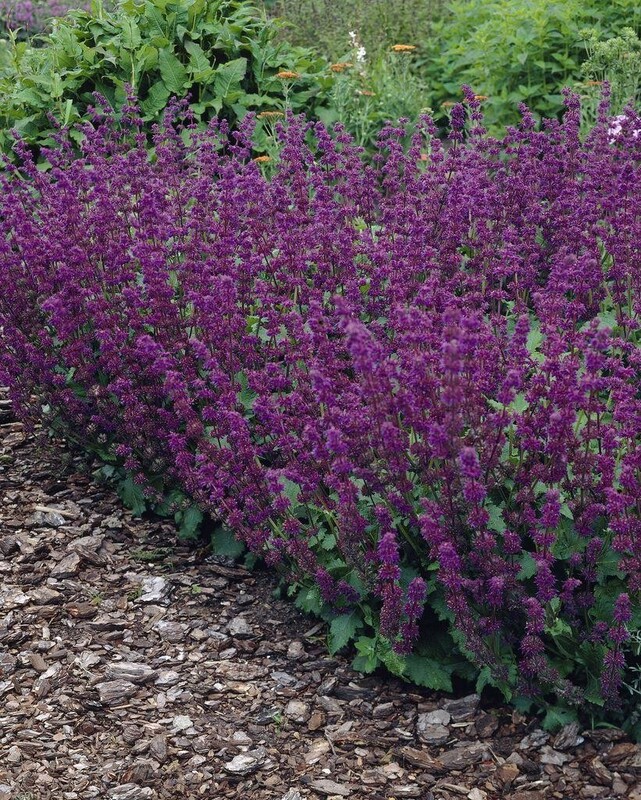 With a habit somewhat unlike the other salvias, 'Purple Rain' forms a sprawling mound of large, fuzzy, silvery-green leaves and stout, fuzzy, arching stems. 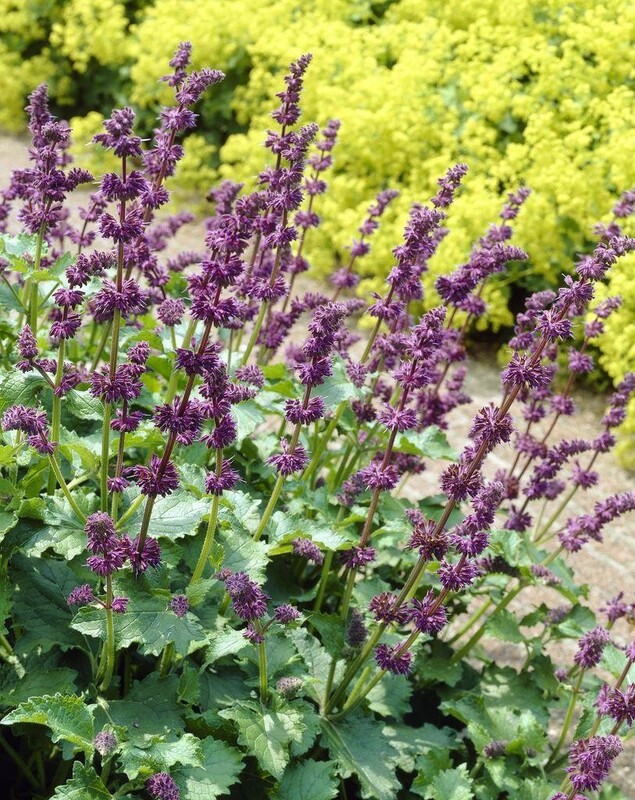 Spikes lined with purplish buds open to reveal the smoky purple flowers. It blooms well into the summer if deadheaded. Supplied in approx 1 litre containers.